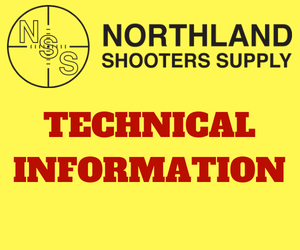 Northland Shooters Supply is pleased to announce the release of their Taper Loc Recoil Lug System. 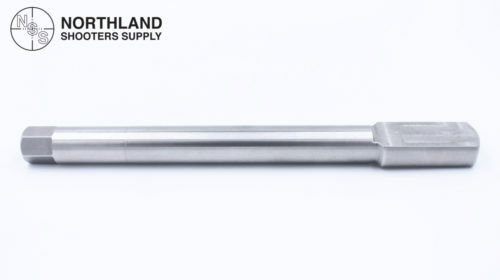 NSS has been working with the latest modification to their Action Wrench, this modification will allow rifle builders that are using the Remington 700 models to install the NSS Rem/Age Barrels without having to notch or pin their receivers. This NSS Action Wrench update will allow you to install the NSS Heavy Duty Precision Ground Recoil Lug directly to your Remington 700 Action without any required gunsmithing. 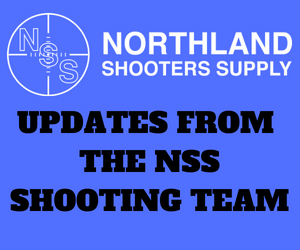 Please click on the link below for directions regarding how to use the NSS Taper Loc Recoil Lug System. The NSS 11-inch heavy duty barrel nut wrench offers 33% increased rigidity. The 11-inch barrel nut wrench is offered for the standard square-notch barrel nut design and the older radius-notch barrel nut design. This design also incorporates a 1/2-inch cutout for using a ratchet, breaker bar, or a torque wrench to aid in the removal and installation of the NSS precision barrel nut. The price for the 11-inch tool is $28.00. The NSS 4-inch (stubby) heavy-duty barrel nut wrench offers 33% increased rigidity. 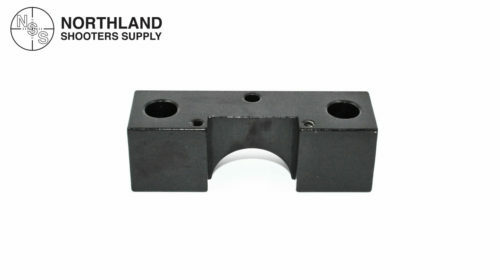 The 4-inch barrel nut wrench is offered for the standard square-notch barrel nut design. This design also incorporates a 1/2-inch cutout for using a ratchet, breaker bar, or a torque wrench to aid in the removal and installation of the NSS precision barrel nut. Modifications to the cap portion and the main body of the action wrench to make it compatible with the center-feed and stagger-feed Savage actions. All NSS Action Wrenches are fully radiused on all working surfaces. All working surfaces are micromachined to avoid coarse contact surfaces. The recoil lug notch is clearanced for all brands of recoil lugs. The lower portion of the NSS Action Wrench has been machined for easy and secure mounting into a bench vise with the handle removed. The NSS Action Wrench will work with all Savage Model 10, 110 – 11, 111 – 12, 112 – 14, 114 -16, 116 as well as all Rem/Age conversions on Remington model 700 rifles. Most importantly, all components including the hardened bolts, hardened washers, Unbrako socket head cap screw and Allen wrench are 100% “Made in the USA”. Northland is able to offer this product at a competitive pricing of $60.00. For customers that already have a Wheeler Engineering Action Wrench, Northland has a redesigned cap section that is a direct replacement for the Wheeler Action Wrench existing wrench cap. This replacement cap does have the additional clearances machined into it for the Savage actions and allows you to use the NSS Taper Loc on your Remington 700 Rem/Age system. The NSS “Wheeler” Wrench Cap is available for $25.00. Northland is now offering the BAT Machine rear entry 2 lug action wrench for our NSS BAT action. The rear entry action wrenches are made to slide in from the rear of the action until it touches the barrel, this puts the twisting force in the strongest area of the action. The wrenches are made from 303 stainless steel and made in the USA. This action wrench will not work on a Remington 700 action.